The women of Downton Abbey looked brilliant and beautiful on the red carpet at the BAFTA Awards last week. It’s fun to compare what they look like on the show, with what they look like in our modern times. There were a few of them I barely recognized! I thought featuring their gorgeous hairstyle ideas they sported walking down the red carpet would be fun. As well as a what they look like on the show, compared to being all glamed up for an awards show. I was late to the Downton Abbey party, but once I joined, I jumped in with both feet and could not stop watching. In fact, I may or may not have binge watched all 5 seasons on Amazon Prime. As sad as I am to see season 6 be the last, I am so excited to see how the characters’ stories play out. I’m sure it will not disappoint. 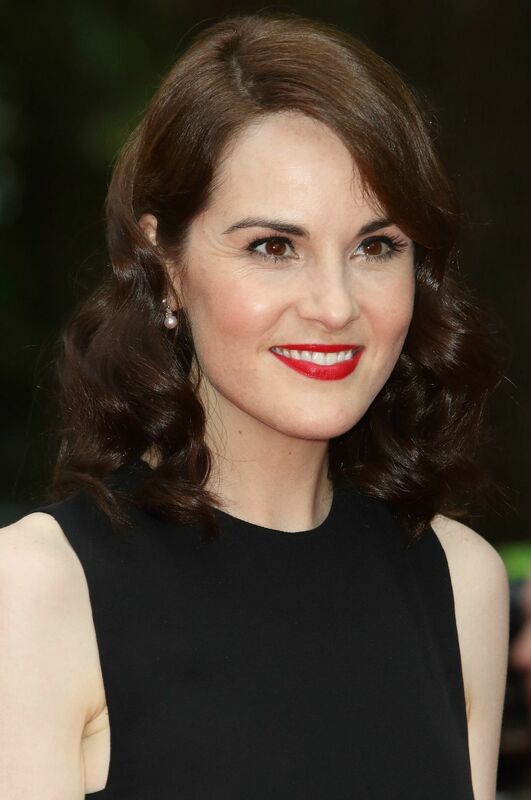 Michelle Dockery looks stunning with her medium length brown hair. Her soft waves are beautiful, as well as her floor length black and white gown. 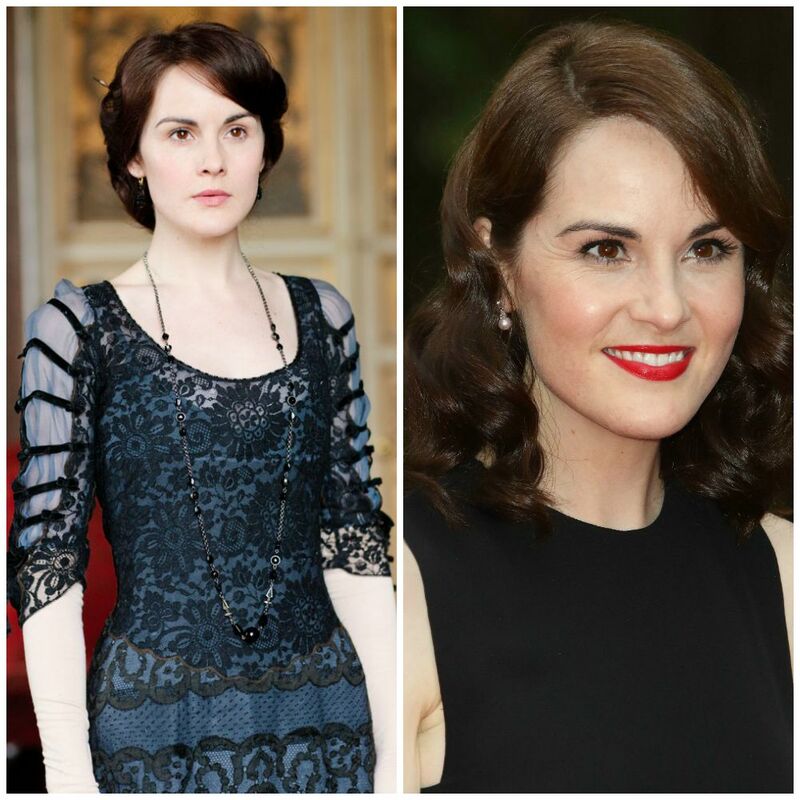 Michelle plays Lady Mary Crawley. She is the eldest daughter of Robert and Cora, and the sister of Edith and Sybil. She is loyal to Downton and will go to great lengths to save it and remain living there. 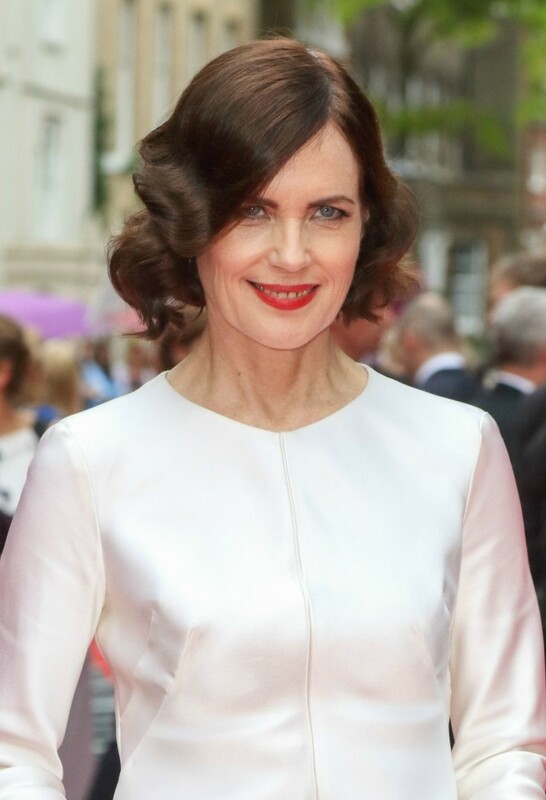 Elizabeth McGovern was amazing in all white, with a punch of color from her red heels. She too wore her hair in soft waves, with long side swept bangs. 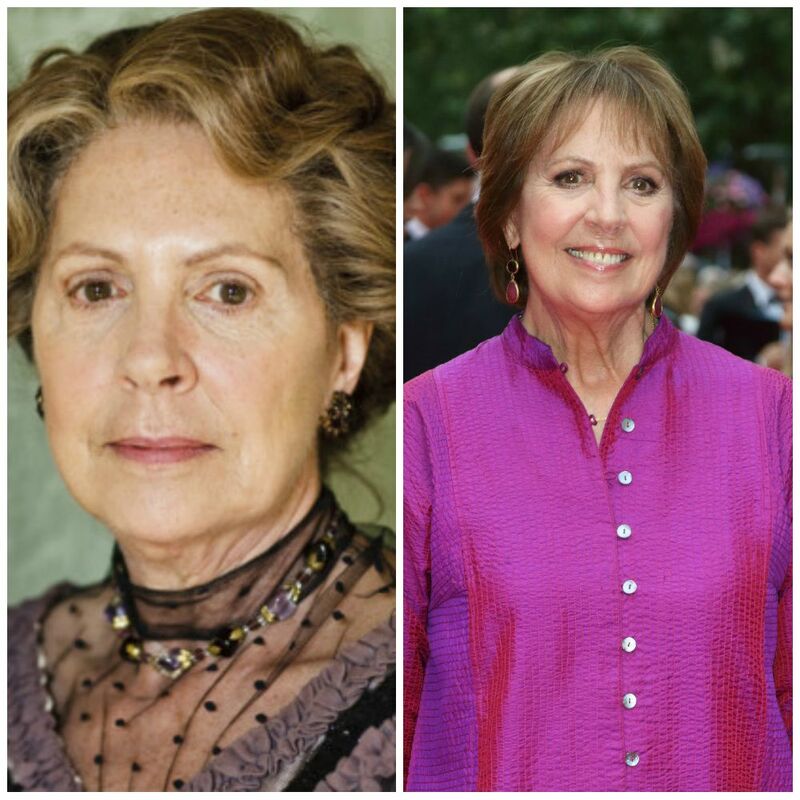 Elizabeth plays Cora Crawley, Countess of Grantham is the beautiful daughter of Isidore Levinson, a dry goods multi millionaire from Cincinnati. She is the wife of Robert Crawley and mother of Mary, Edith and Sybil. She was pressured into marriage by her father, who longed for his daughter to wed a member of the British aristocracy. Laura Carmichael‘s floral gown suits her so well. I would love a knee length version of this dress! Her hair is a little lighter, with less red than in the show and it looks so pretty the way it frames her face. A beautiful look for the red carpet. 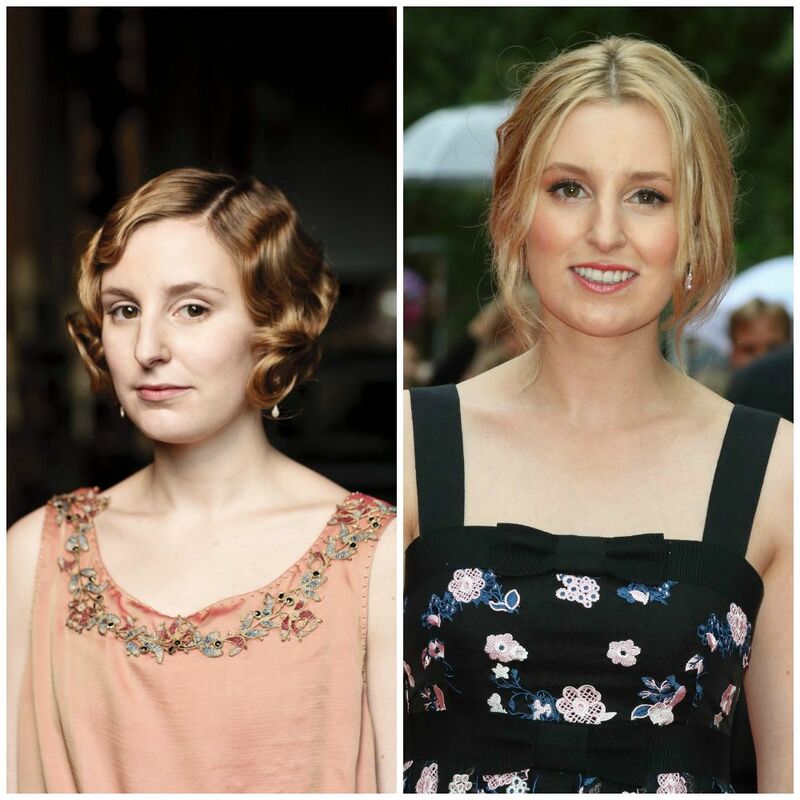 Laura plays Lady Edith Crawley, the second daughter to Robert and Cora. Edith is a little awkward and often overlooked by her family. She is the younger sister of Mary and older sister of Sybil. Joanne Froggatt is one of my favorites on the show. And just look how cute she is! Her floor length white fitted gown is perfect for her and her hair is simple yet elegant with soft waves and blond highlights. One feature about her you don’t notice on the show very much are her blue eyes. 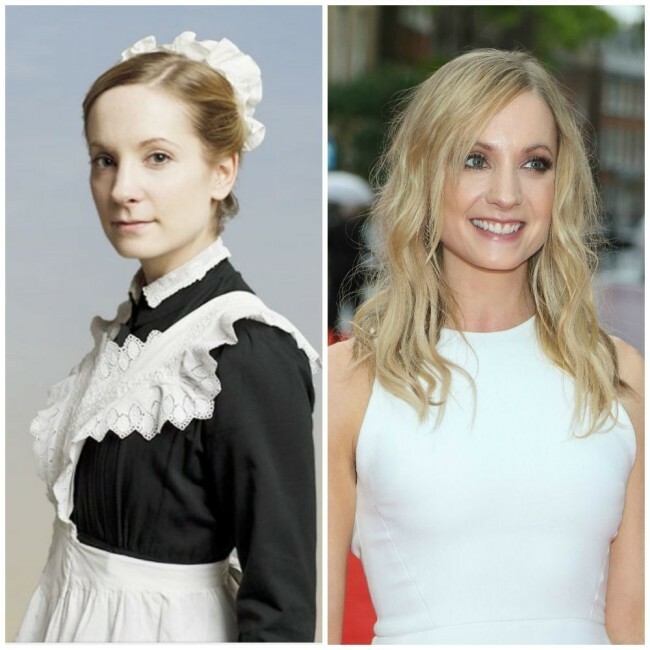 Joanne plays Anna Smith, the head housemaid at Downton, primarily responsible for tending to the three sisters Mary, Edith and the late Sybil. A sweet and caring person, she doesn’t hesitate when it comes time to help Lady Mary out of a particularly huge jam — never mind the potential consequences. 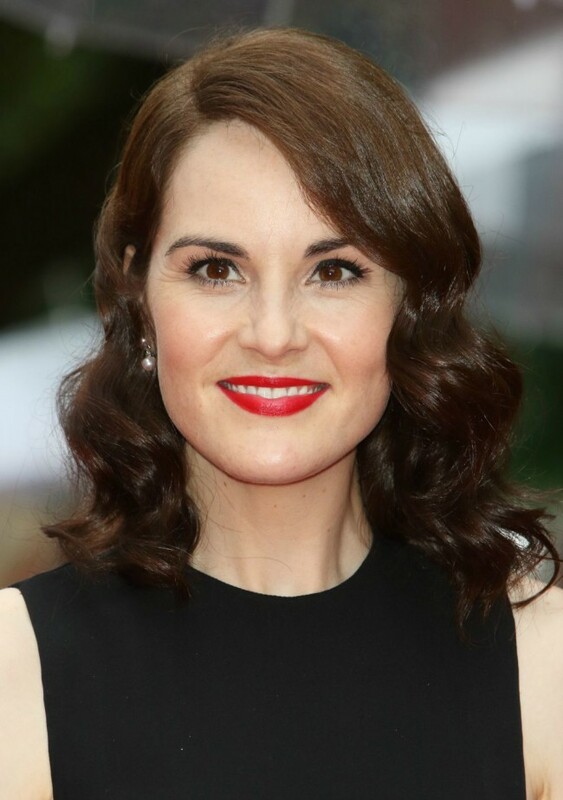 Anna is a welcome and reliable ear for Lady Mary. 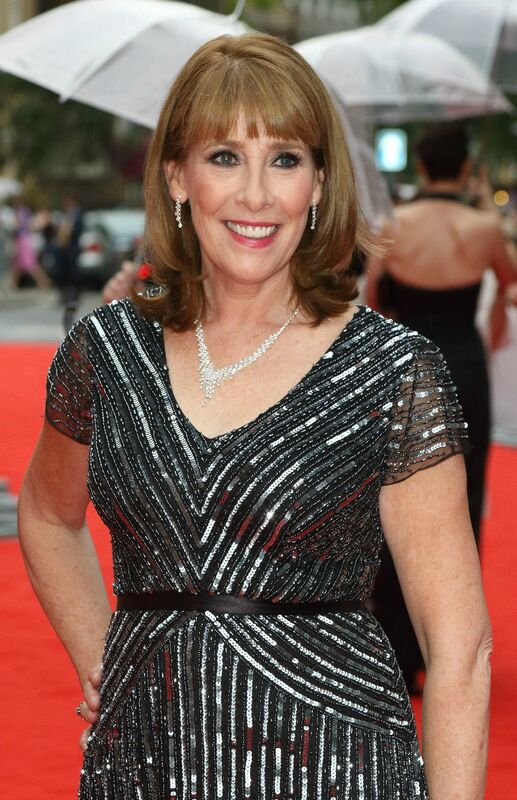 I didn’t even recognize Phyllis Logan when I took a first glance. Between her bangs, stunning sparkly gown and makeup, I had to do a double take to make sure it was her. This hairstyle suits her so well. She’s another one of my favorite characters on the show. 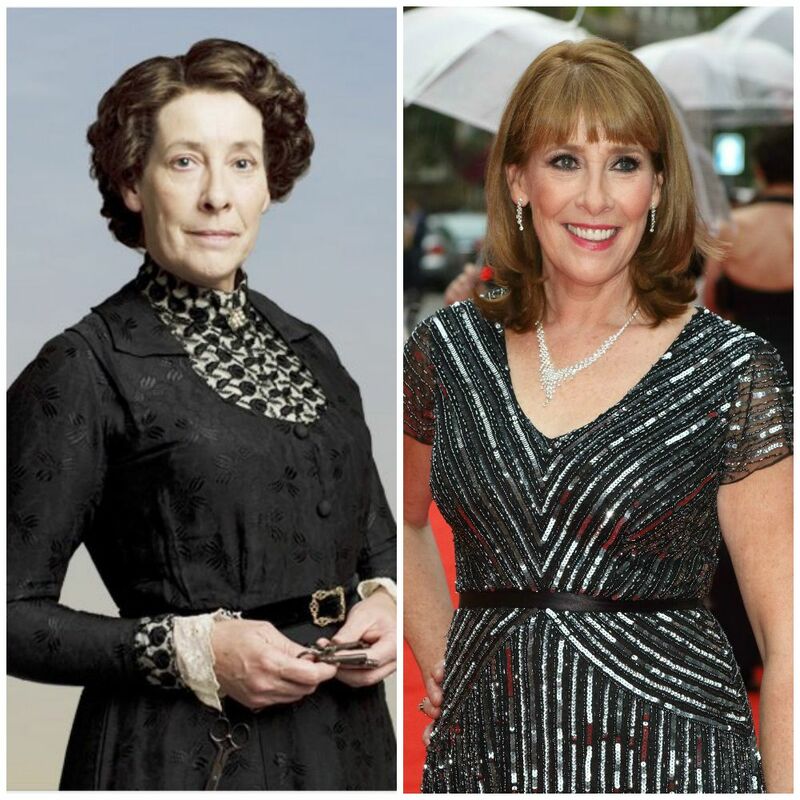 Phyllis plays Mrs. Hughes, the housekeeper at Downton and the female staff all report to her. Though unmarried, she is referred to as Mrs. Hughes in keeping with the traditional titles for servants at the time. While strict and prim in her manner as a housekeeper, Mrs. Hughes is a warm and kind-hearted woman who is quick to help someone in need, even if it means bending the rules. 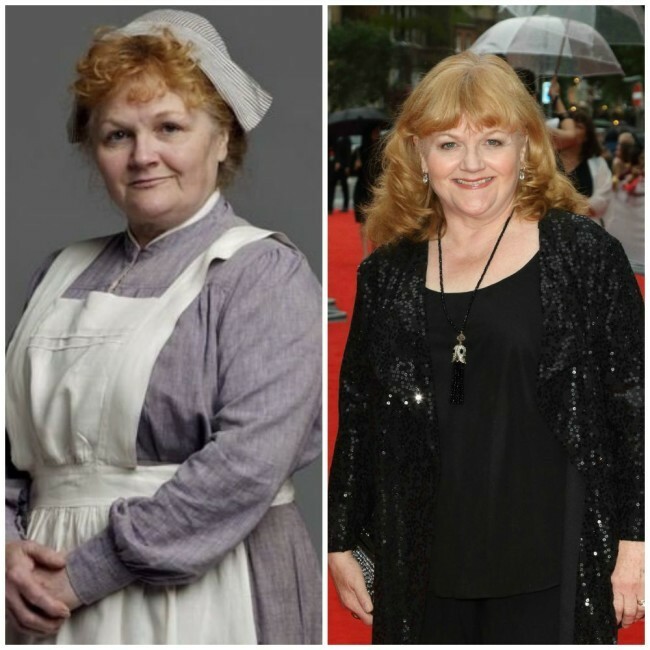 Mrs. Hughes is best friends with Mrs. Patmore and a great friend and confidant of Mr. Carson. Together, they run a tight ship. 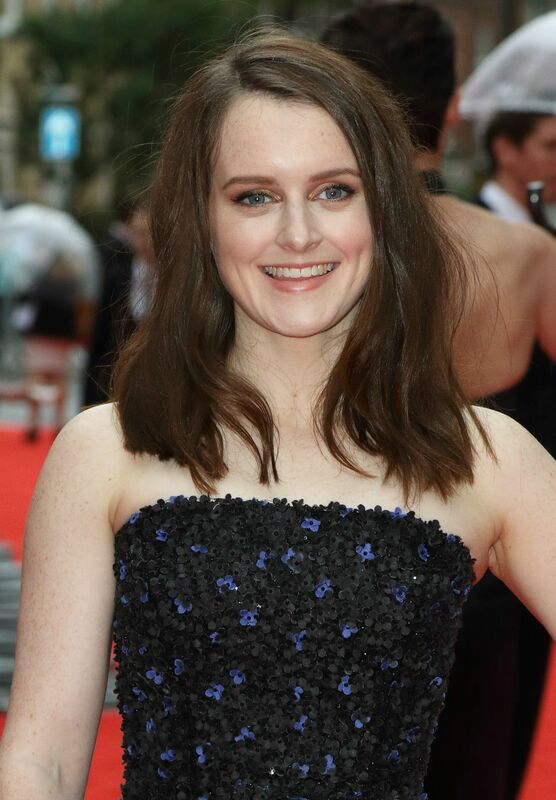 Sophie McShera looks as sweet and adorable walking the red carpet, as she does in the kitchen of Downton Abbey. If you look at her gown closely, you can see that it’s made of hundreds, if not thousands, of tiny black and blue flowers. Stunning! She wore her hair down, with a slight wave to it and parted to the side. Sophie plays Daisy Robinson, the scullery maid at Downton. A very naive, childlike young woman, she is one of 11 children and can be easily tricked or led astray. Daisy is a romantic and is innocent in many of the ways of the world. Still, she has a very strong moral conscience, which is evident especially when she stands to benefit greatly from what many would consider a white lie, and refuses. 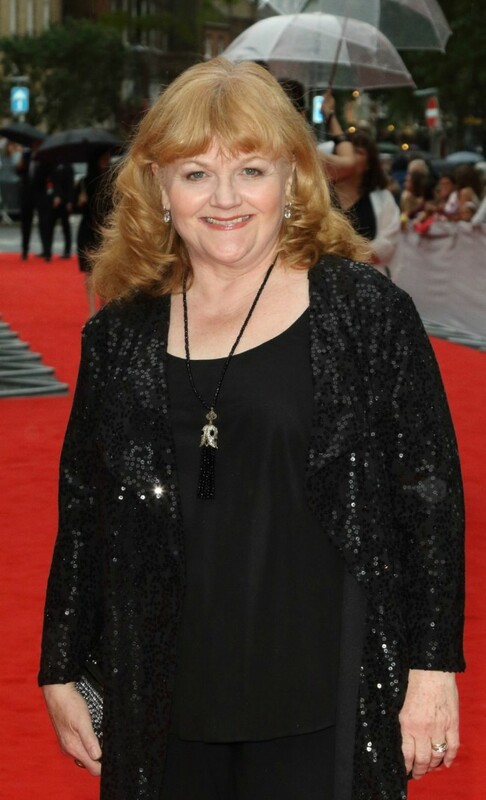 Lesley Nicol has such gorgeous red hair! Although she’s all glamed up and definitely looks different than her Downton Abbey character, I would recognize that smile and red hair anywhere. 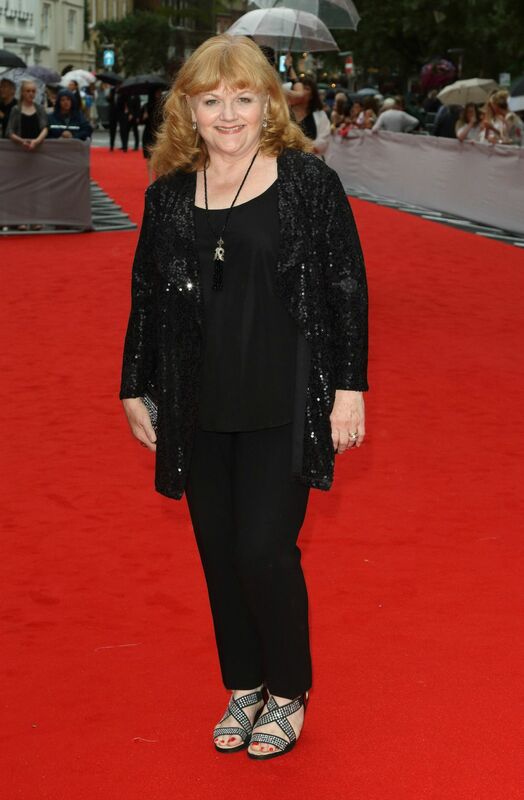 Leslie plays Mrs. Patmore the cook at Downton and takes great pride in her kitchen and the food she prepares. She is a perfectionist and an apparently darn good cook. She doesn’t like to think Mr. Carson or Mrs. Hughes have any jurisdiction over her, although they both certainly do. She treats Daisy, the scullery maid and her primary assistant in the kitchen, like her own daughter for better or worse. 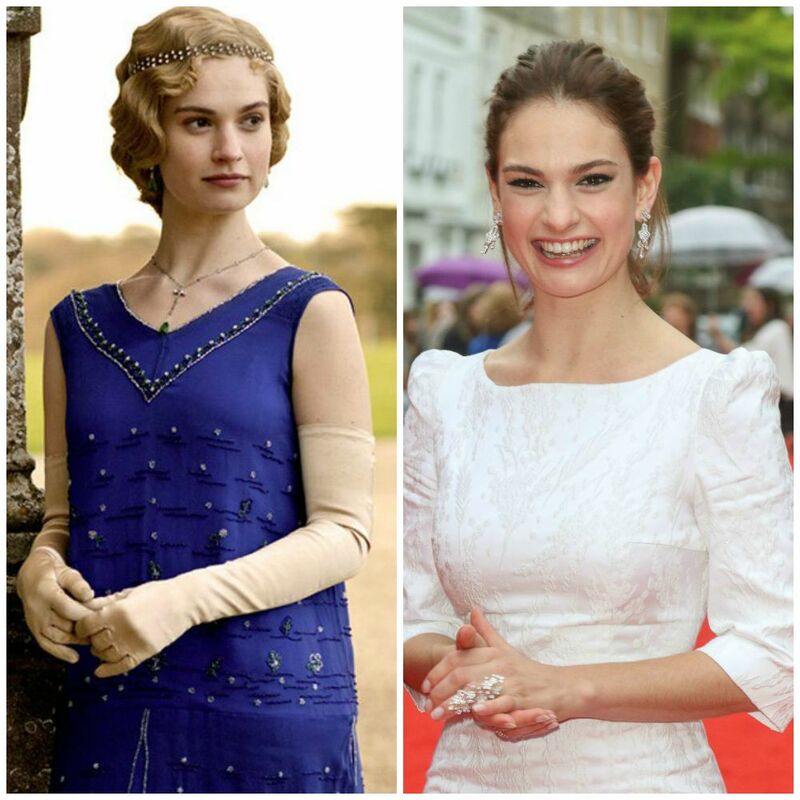 Lily James has a smile that lights up the red carpet. She was so wonderful in Cinderella and is equally enjoyable in Downton Abbey. She has such a sweet personality and it comes across both on film and walking the red carpet. She wore her hair in a simple style, pulled back from her face. Her white gown pops on the red carpet and don’t miss her Old Hollywood glam style shoes. So pretty! Lily plays Lady Rose MacClare, the youngest child of Hugh and Susan MacClare (the Marquess and Marchioness Flintshire) and the niece of Agatha and Louisa. 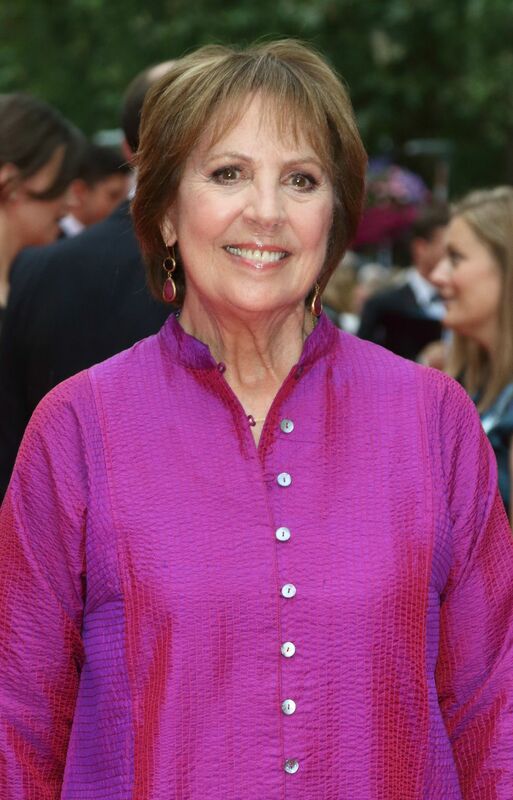 Penelope Wilton is sporting a short haircut, which suits her so well. It’s fun to see how differently they style it for the show – no bangs and a lot more volume! 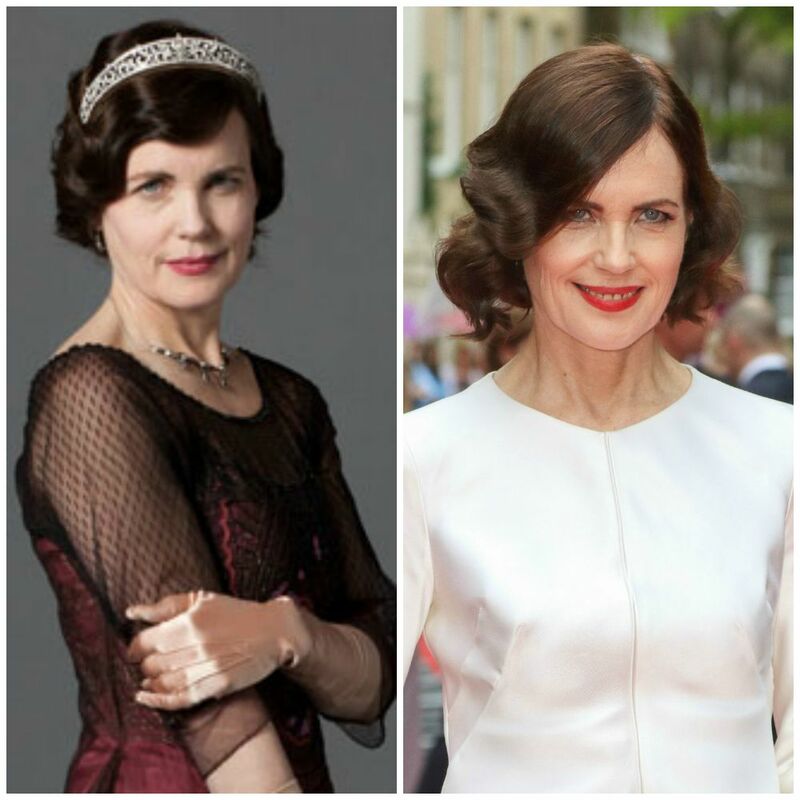 Penelope plays Isobel Crawley, Matthew’s widowed mother. Her late husband was a physician in Manchester and she was a trained nurse there. Her father, too, was a doctor and her would-be husband trained under him. 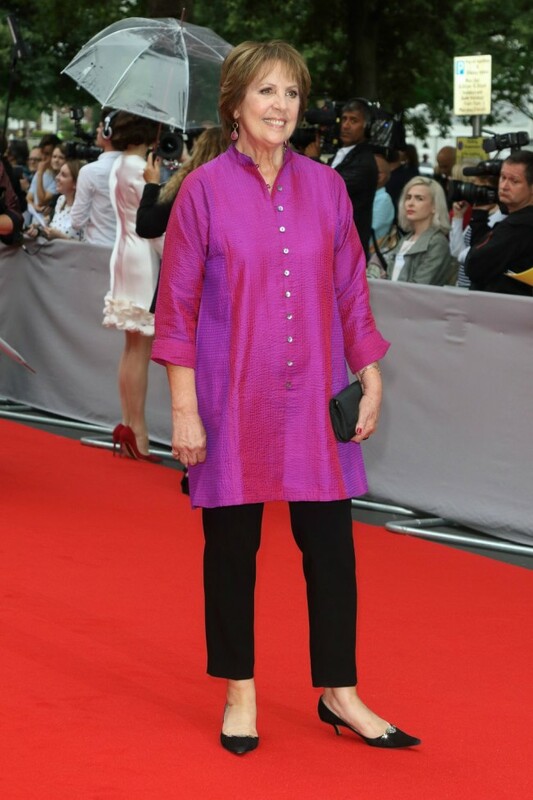 She is not fazed by the the lifestyle at Downton, but insists on remaining true to herself and her life. She agrees to come and manage her son’s modest house on the estate, but she has mixed feelings about the whole arrangement. 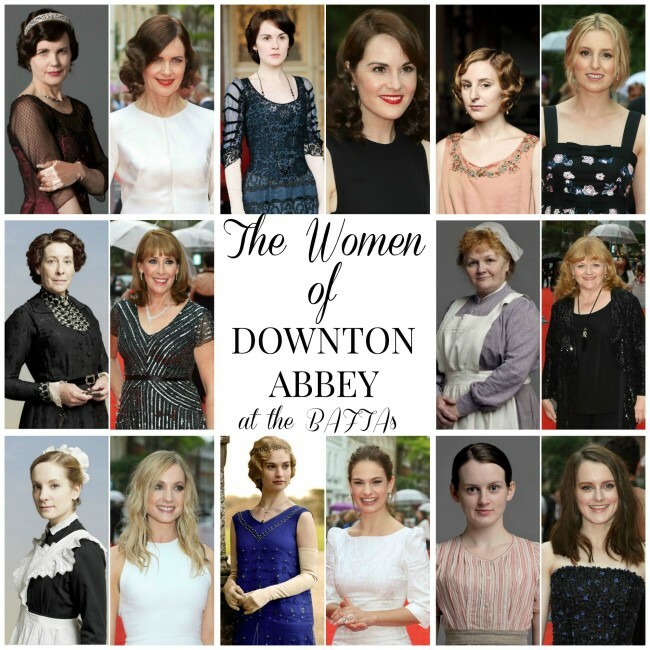 Which Downton Abbey character is your favorite? Are you ready for season 6? 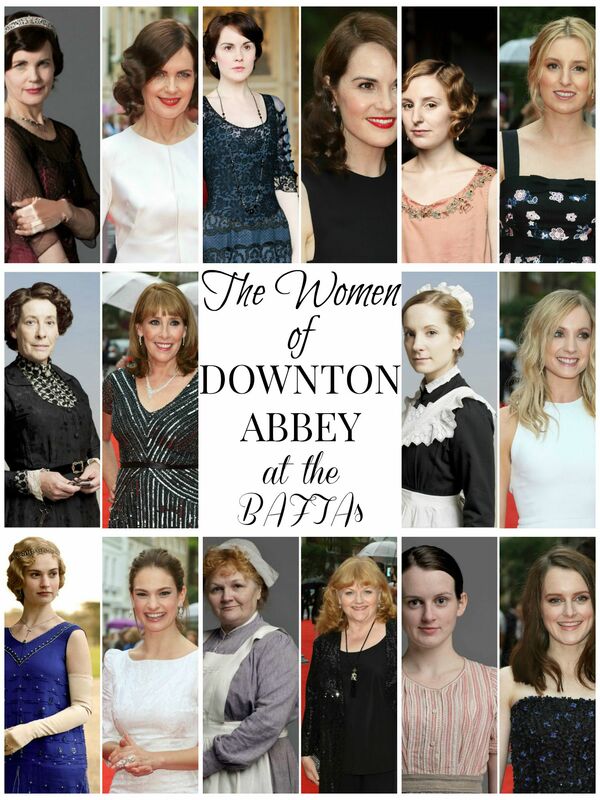 I hope you enjoyed these hairstyle ideas featuring the lovely and talented women of Downton Abbey.